Russia's top diplomat will visit North Korea to meet amid ongoing preparations for Pyongyang to hold its unprecedented summit with the United States, according to the North's state-media on Wednesday. The Korean Central News Agency reported that Russian Foreign Minister Sergei Lavrov will "soon" visit Pyongyang at the invitation of North Korean Foreign Minister Ri Yong-ho. It did not say when he exactly will arrive in the North and what the agenda the two will discuss will be. 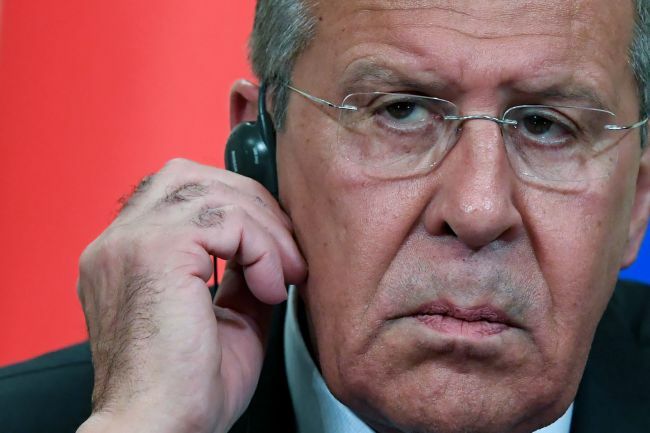 A Russian media company earlier reported that Lavrov will visit Pyongyang on Thursday. Lavrov's trip appears to be intended to reciprocate Ri's visit to Moscow last month.